Last month, Rolex celebrated 60 years of involvement in the gentlemanly sport of yachting, and capped off a sensational season by handing out coveted Yacht-Master watches at one of the world’s most prestigious regattas, the Rolex Sydney Hobart Yacht Race. 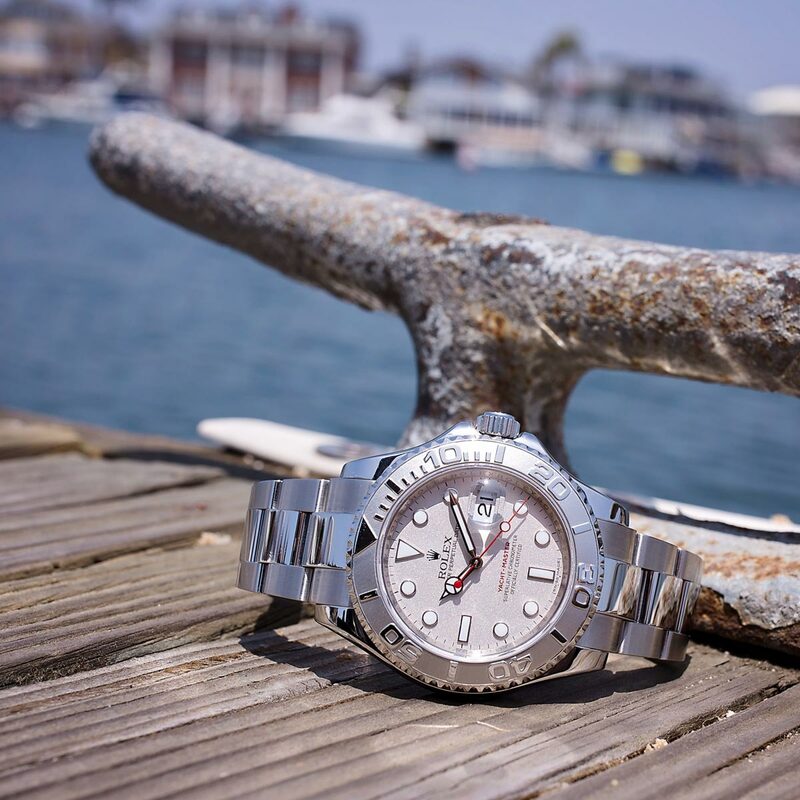 First held in 1945, the 628-nautical mile race is one of the most prominent and important sailing events among the 15 major international regattas that Rolex now sponsors around the world. The iconic Swiss timepiece manufacturer has been a sponsor of the Sydney Hobart Yacht Race since 2002, roughly a decade after first introducing the Yacht-Master line of watches to their catalog. 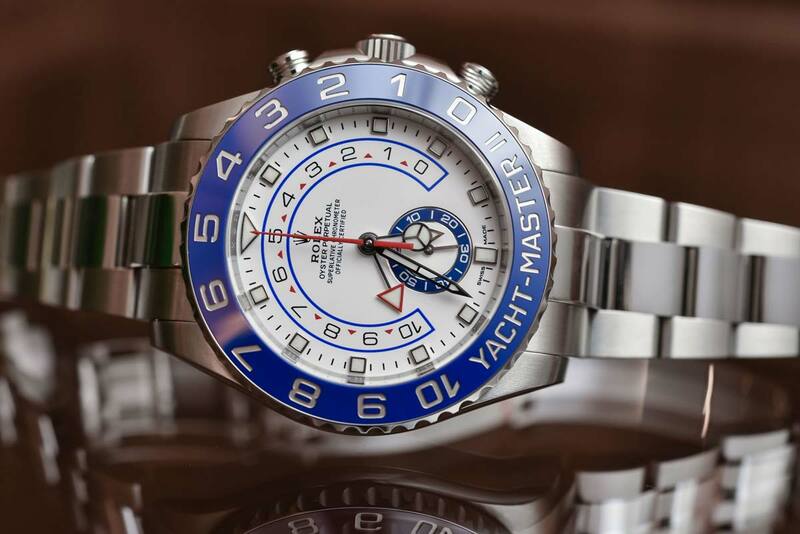 Rolex dial and bezel on the Yacht-Master ref. 116622 are craft from solid 950 platinum. 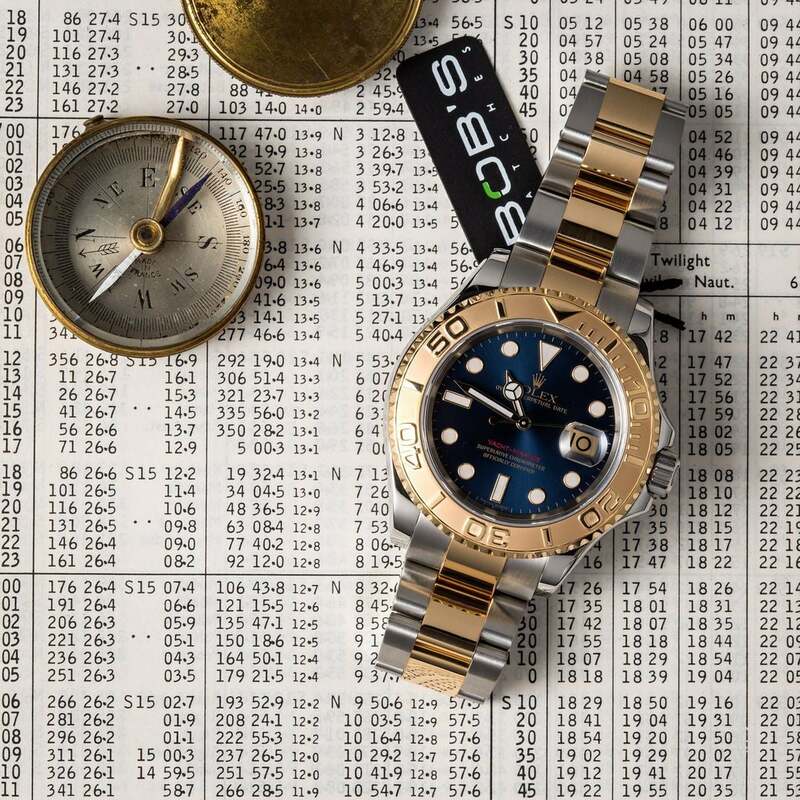 In 1958 – five years after introducing their highly water-resistant Submariner line of dive watches, Rolex wisely forged a “privileged relationship” with the most elite circles in boat racing, by partnering with several of the sport’s most exclusive and influential yacht clubs, including the New York Yacht Club in Newport, RI; the Royal Yacht Squadron in Cowes, UK; and the Yacht Club Costa Smeralda in Sardinia. According to Sail World, the 2018 Rolex Sydney Hobart Yacht Race, which took place between December 26th and December 31st, was “contested by a hugely diverse and competitive 85-strong fleet and crewed by experienced and talented sailors,” and was one of the most exciting in 73-year history of the race. The Yacht-Master II is Rolex’s professional regatta chronograph, and features an adjustable countdown timer with mechanical memory for use during boat races. After a grueling battle with the 100-ft. maxi yacht, Wild Oats XI, it was Phillip Turner’s 66-ft. ship, Alive that was judged the overall winner of the race. The sleek, Reichel/Pugh designed boat is the first yacht from the isolated Australian island of Tasmania to win the race since 1979. The Official Prize Giving took place at the Grand Chancellor Hotel in Hobart, Tasmania (where the race ends), with Patrick Boutellier, the General Manager of Rolex Australia presiding along with regatta officials, including the Governor of Tasmania and the Commodore of the Royal Yacht Club of Tasmania. Although it shares a number of design similarities with the Submariner, the Rolex Yacht-Master is very much a watch of its own design.